The TEAMS BPA provides an easy-to-use platform for all WHS/AD Contracting Officer’s to procure professional services that may be used across the Office of the Secretary of Defense. 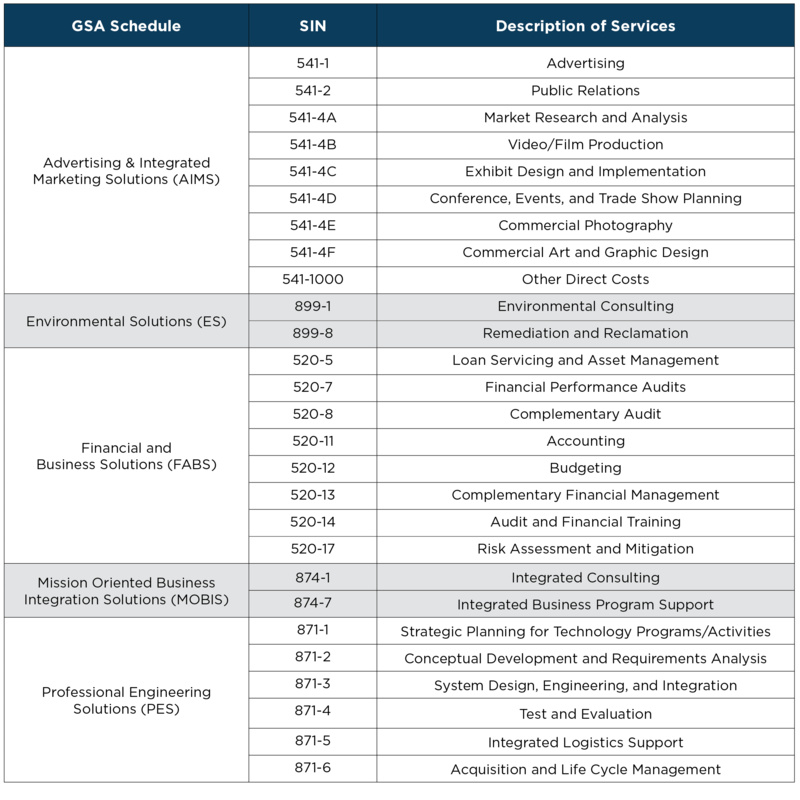 These services include, but are not limited to, program management, management consulting, engineering, scientific, environmental, financial management, and ancillary services—such as executive administrative support—in CONUS and OCONUS locations. KPMG LLP (KPMG), Large Business, is an audit, tax, and advisory firm with over 24,000 employees in 90 offices throughout the US and over $6B in annual revenues. As the largest Federal auditor, KPMG currently audits 8 of 15 cabinet-level Federal agencies and performs financial statement audit or advisory support at over 50 Federal entities annually. KPMG has supported the DoD for over 100 years. Some of KPMG’s DoD clients include the Army, the United States Army Corps of Engineers, the Navy, the US Air Force, the US Marine Corps, the Defense Commissary Agency, the Defense Logistics Agency, the Defense Intelligence Agency, the Defense Information Systems Agency, and the Defense Finance and Accounting Services. KPMG’s Federal practice has established itself as a leading provider of audit and advisory services to numerous agencies in the Federal Government, employing more than 800 employees. They bring extensive knowledge of Federal agencies, having worked with every Cabinet-level entity and numerous independent agencies. In the US, KPMG has been a leading Federal financial management advisor since 1912 and has since helped set the standards for Government accounting and auditing. Founded in 2011, Sehlke Consulting is a rapidly-growing Service-Disabled Veteran-Owned Small Business (SDVOSB) and Historically Underutilized Business Zone (HUBZone) headquartered in Arlington, VA. Sehlke is a professional services and management consulting firm specializing in Financial Management, Acquisition Management, Program Management and Logistics Support Services. Sehlke offers vital value added solutions to support the Federal government in several areas, which include audit lifecycle support solutions such as FIP/FIAR, A-123, FMFIA and property management; analytics solutions related to accounting and inventory; acquisition management solutions such as procurement/contracting support and source selection; financial systems solutions such as system integration and migration and FISCAM; and business process reengineering solutions such as organizational performance improvement and Lean Six Sigma. From their inception in 2005, Wittenberg Weiner Consulting, LLC (WWC), a Woman-Owned Small Business and 8(a), has been providing management consulting services to government clients in Research and Engineering programs and activities, including a broad range of policy analysis, program and project management, budgeting and accounting services, information management and information support analysis (including metrics and database support), contingency planning, and subject matter expertise in a wide range of areas. They have significant expertise working in and managing R&E projects from a program management, financial management, and acquisition perspective with a reputation for consistently excellent work. WWC has extensive experience with the Department of Defense, in both CONUS and OCONUS settings, to include Washington Headquarters Service, Department of the Navy, and the Defense Intelligence Agency. They achieve their company mission “Putting Good Government Into Practice,” by helping agencies improve outcomes by providing effective program and project management services.